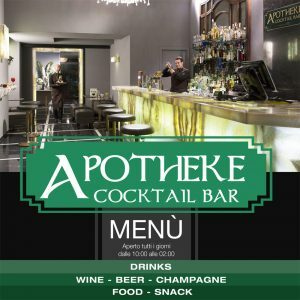 The Apotheke Cocktail Bar is the creation of Alessio Piram, the owner of the historical Welcome Piram Hotel. 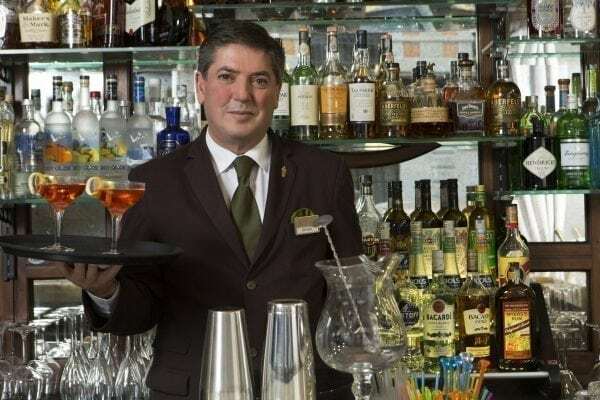 He managed to attract one of the most renowned head barmen of Rome, Biagio Zecchinelli, a professional with a long career in luxury hotels both in Italy and abroad. 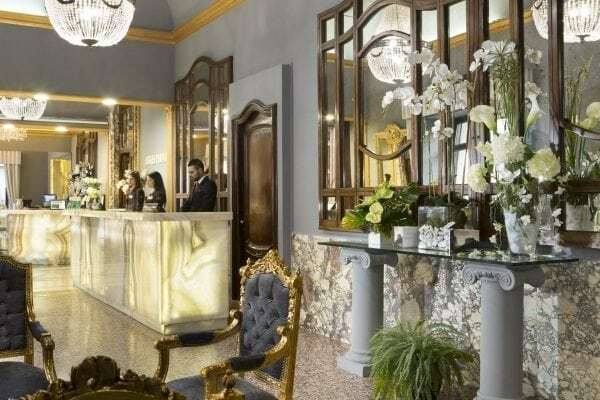 The bar is located in the hotel, in the Termini train station district, a strategic location to enjoy Rome by night. 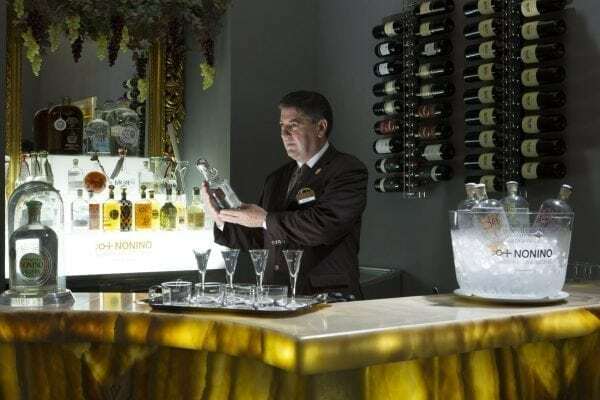 The concept at the base of the owner’s idea of restyling was that of creating an atmosphere entirely different from that of a traditional bar, with special attention given to the quality of the products. 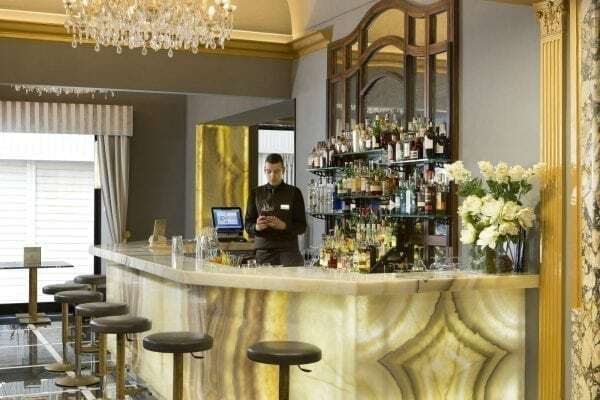 It is evident in the interior design that recalls the ancient pharmacies of times past, where instead of medications and pharmaceutical ingredients we find cocktails and a festive atmosphere. 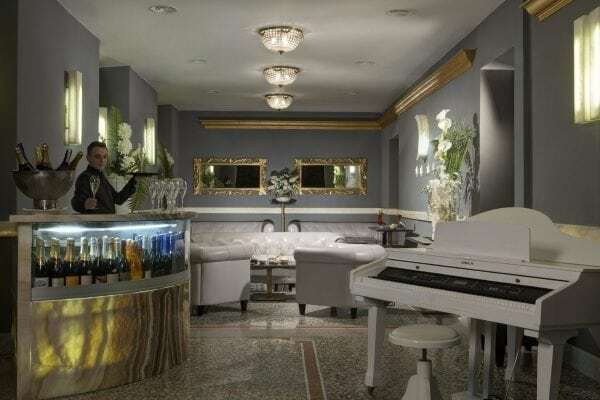 Our clients can enjoy the new experience of sipping a quality cocktail prepared with care and passion with the live music by piano bar, in an ambience that is far from ordinary. Here they are not welcomed by doctors and medicine, but by professional barmen serving real cure-alls for the soul!